In 2006, we had a vision of opening a clinic which would eventually provide people with a multi-disciplinary approach to health care, and allow the public the chance to experience the many benefits of chiropractic. A vacant shopfront on Concord Road was found and Canada Bay Chiropractic was born. Over the course of the next 3 years, Canada Bay Chiro underwent somewhat of a growing & maturing phase. Following an extensive expansion, rebuilding and renovation process in 2009, the “bigger brother” of Canada Bay Chiro emerged, known as the Chiro Health & Rehab Centre on Concord Road (CHR Centre). In September of 2017, CHR Centre became known as Pinnacle Spine & Sports. Pinnacle Spine & Sports is now equipped to provide a much wider range of services, in a spacious and comfortable environment. We pride ourselves on exceptional service and friendly interaction with all of our patients, and we have full confidence in our ability to help you reach the best level of health & wellbeing possible. Our services include chiropractic, remedial massage, musculoskeletal acupuncture, tailored exercise & rehabilitation programmes, custom made orthotic fitting and Pilates & yoga classes. 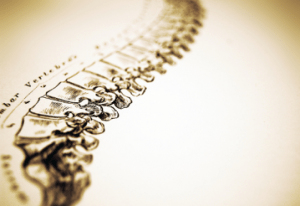 Our chiropractors use what is known as the “Diversified” chiropractic technique, which has evolved out of the combination of many different chiropractic methods and styles over the last century. It’s the most common form of chiropractic used today, and it’s what you would call the more “hands-on” or “manual” style of chiropractic. A requirement for a chiropractor to work at Pinnacle Spine & Sports is completion of further training beyond the standard university degrees required to gain accreditation as a chiropractor. Our chiros have all completed further training in a field known as ‘functional neurology’, which is based on very modern research findings from within the neuroscience and chiropractic fields, and examines how chiropractic treatment effects the deeper functioning of the nervous system. Through specifically applied adjustments to the spine and extremities (eg. feet, knees, wrists, elbows, etc), we can decrease pain and restore normal joint and neurological function which can have a multitude of benefits for the body.